IMMORTALISED ON STAMPS: Lucas showing his stamps collection on the late Michael Jackson. MIRI: It was the trend of pen pal letter-writing in yesteryears that gave local antique collector Lucas Johnny a boost to continue with his hobby of collecting stamps since his childhood days. 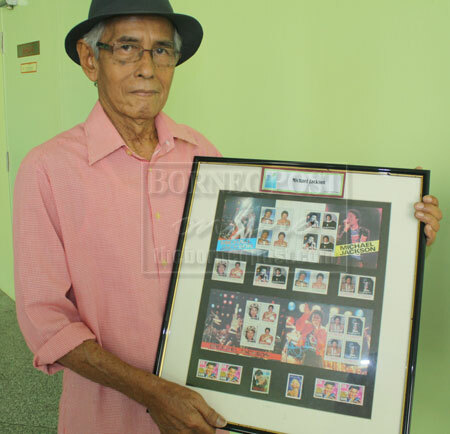 He started on stamps since he was seven years old in 1953 during his school days at Sekolah Abang in Sibu. “My interest to collect stamps actually started after I was encouraged by my primary school teacher and continued my hobby up to secondary school at Methodist School Sibu,” he told The Borneo Post when met at Pustaka Miri yesterday. Currently, he is ‘sharing’ his stamp collection by holding an exhibition at Pustaka Miri which started on May 6 until end of this month. 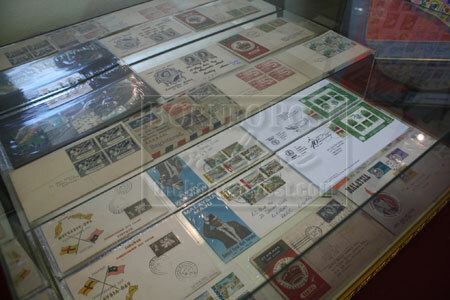 He explained that the hobby of stamp-collecting was a popular hobby back in the 1960s and 1970s. POPULAR HOBBY: The various first day covers from Lucas’ collection. Among the attractive stamps in his collections are world famous personalities featured on stamps, like the late Michael Jackson, the late Princess Diana, local legendary artiste P Ramlee and the Brooke era in Sarawak. In addition to that, he also collected postcards, first day covers and telephone cards which are also on exhibition. Meanwhile, Lucas is also involved in the effort to break the record for the longest philately line at Miri Civic Centre on May 25. The event, which part of the events to mark the 8th Miri City Day is organised by Pustaka Miri and Miri City Council (MCC). In order to be eligible for the Malaysia Book of Records (MBR), the philately line has to be more than 300 metres.